But Panda doesn't have a problem. The New York Times bestselling author of Here Comes the Easter Cat and The Quiet Book loses control of the narrative in the funniest, most exuberant, most kid-delighting way in this adventurous ode to what makes a story--and what makes a story great. The Quiet Book and Here Comes the Easter Cat, as well as Monster & Mouse Go Camping, Interstellar Cinderella, and Bad Bye Good Bye. Hannah Marks is a self-taught illustrator and designer, who often gets her best ideas after eating cake. 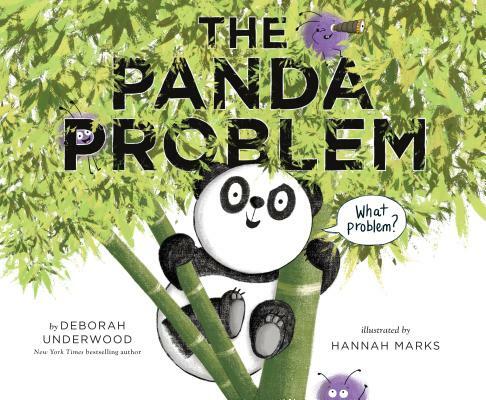 She lives in England with her husband, three children, a bonkers cat, two gerbils, and a teeny-tiny Roborovski hamster.&#8203;&#8203;&#8203;&#8203;&#8203;&#8203;&#8203; The Panda Problem is her U.S. picture book debut. Find her on Twitter @Hannah_Marks, on Instagram at hannahmarks_, and on Pinterest at hannahemarks.